We added a little bit of a garden scene to this Dry sink…flowers and butterflies. We stained, distressed and then hand painted artwork and lettering. We then applied 3 coats of polyurethane. A unique one of a kind piece. 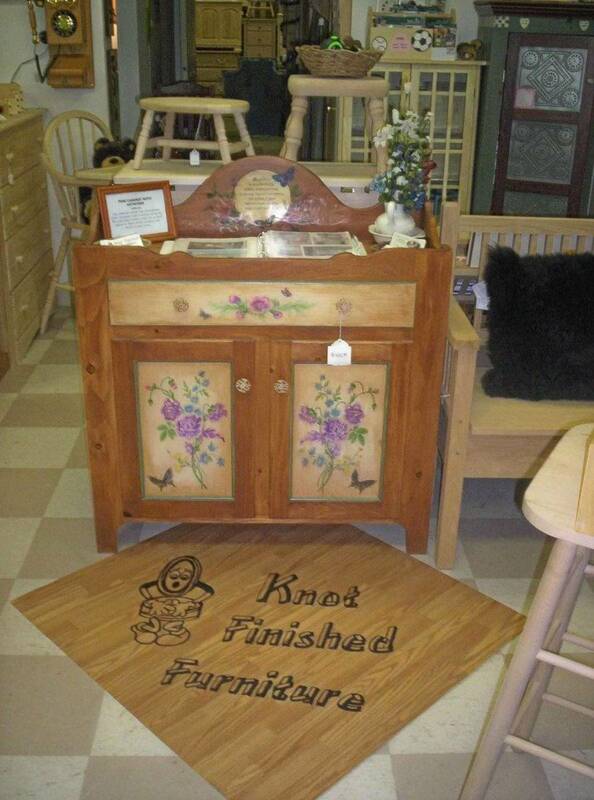 We can paint anything you desire on any piece of furniture…just let us know what you like.